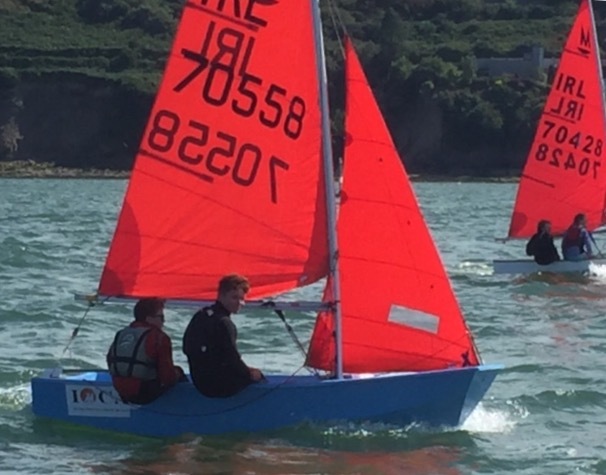 Close on twenty mirror dinghies will compete for the 2016 Mirror European championship which will see competitive racing commence tomorrow (Tuesday 9th) on the curlane bank. 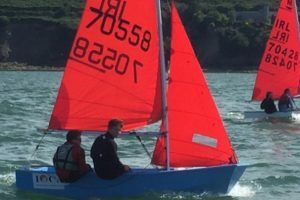 The event will run through to Friday and all competitors appear to be looking forward to a week of fun and good racing. Admiral John Roche welcomed all our visitors this evening over a glass of wine , while some of the younger competitors were locked into battle inside sumo wrestling suits on the club lawn. A practice race was held today under the watchful eye of event race officer, Johnny Moynihan. The breeze was brisk and it gave the competitors an opportunity to get a feel of what conditions to expect. Wishing all participants good luck for the coming four days. Picture above shows ‘local boys’ Eoghan & Killian O Regan getting some practice earlier today.